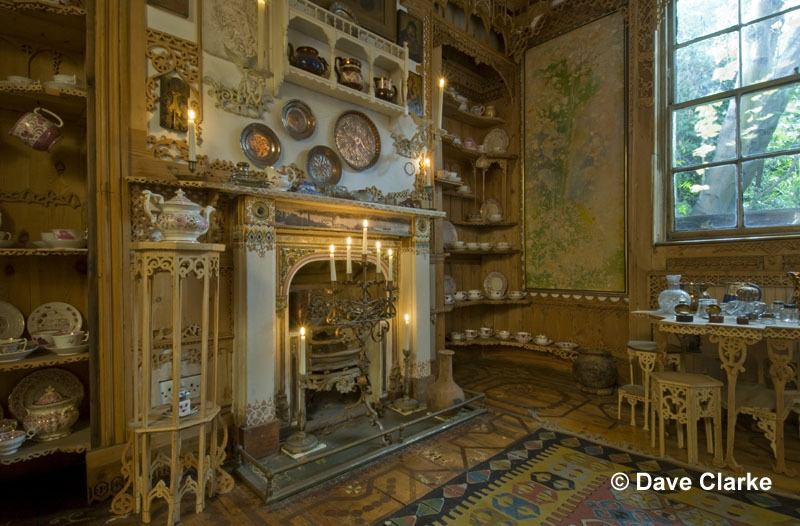 In 2010 the National Trust accepted 575 Wandsworth Road, bequeathed from Khadambi Asalache, having determined that the property is of national significance as one man’s complex and singular work of artistic achievement. 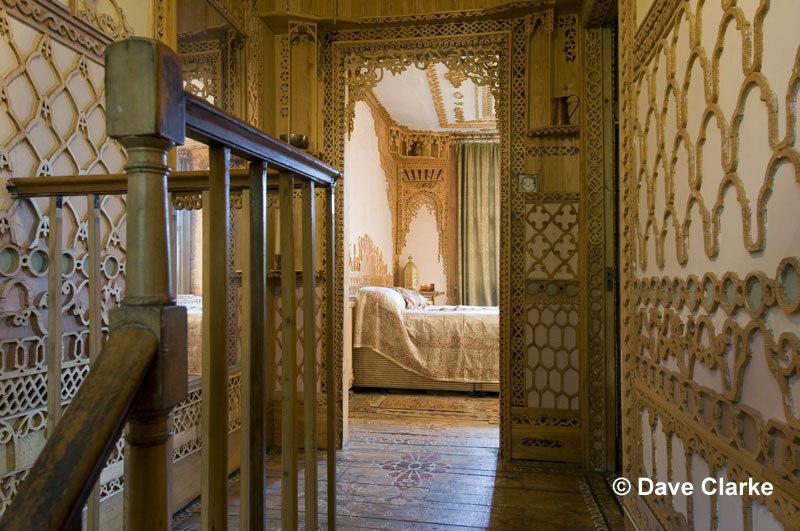 Over the last twenty years of his life, Khadambi decorated the interior of his modest terraced house in south west London with his own crafted fretwork and decorative painting. He also embellished surfaces with his collections of lustre ware, glass and metalwork and displayed Afghan kilims as well as textiles and everyday objects from East Africa. Intentionally avoiding symmetry, Khadambi’s objective was to achieve overall visual balance and harmony. The result is that his intimate home has become a work of art which enthrals visitors and provokes considered and emotive responses.